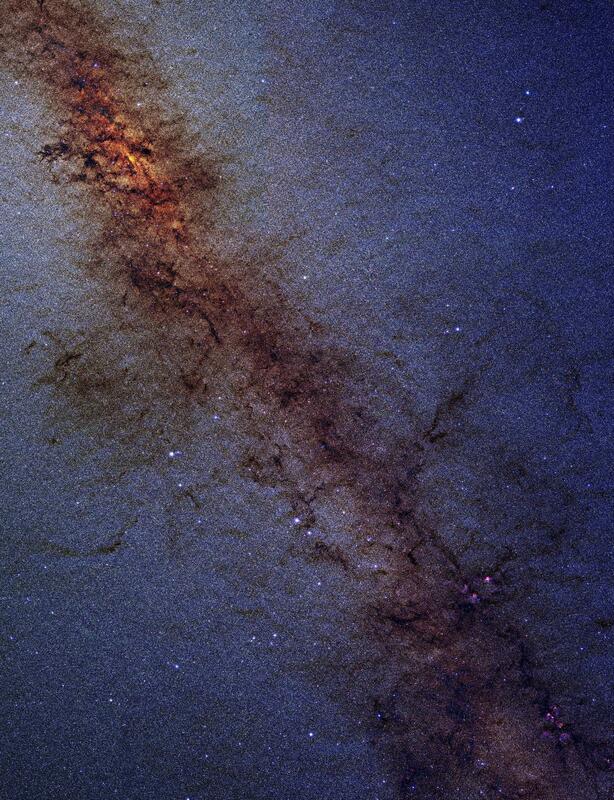 Behold, the middle of our galaxy, the Milky Way, way up there. In my more formative years, I was always perplexed by the idea that we could see the Milky Way in the sky, and that we were a part of it; that it is so far away, but that it is here too with us. The density, and the space in between. As stuffed-together as that looks, the vast majority of it is nothing but a colossal void, nothing but pins of light coming in from each direction (were there a mind with some eyes to behold and recognize this). We are here reminded of the same characteristic which is present in all so-called ‘solid objects’; though the banana looks solid, were we to ‘get in it’ as one might the vista above, we would find the banana to be rife with emptiness between its constituent parts. Perhaps if we Magic School Bus ourselves down to the planck level, we may find that upon a spinning atom within a (nearly) infinitely small piece of banana-mush there skips a fellow in a space suit. 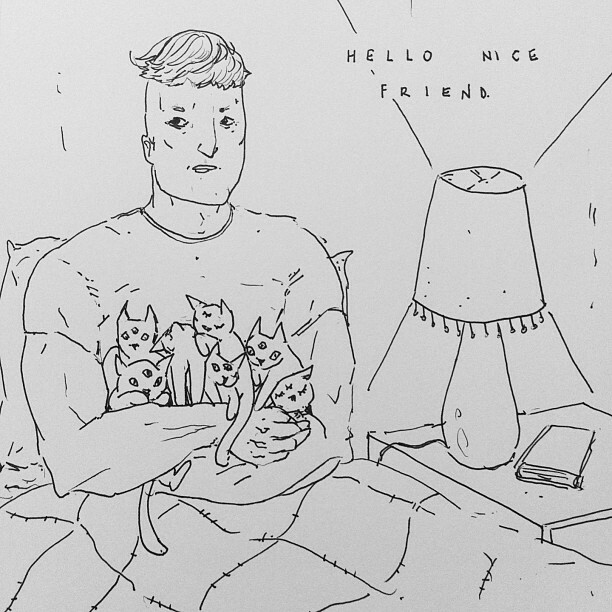 Below is some totally sweet art that I have had the pleasure to come across. I don’t know if it is the helmet, and the silence of space, or if it is the teeth grasping the end of a tongue (as I imagine this to be a young boy or girl, or a small rotund man focussed on the task, or game at hand, holding his breath as she carefully space-skips), but I cannot breathe when I look upon this. I like this without getting it at all, but that’s life, so whatever. 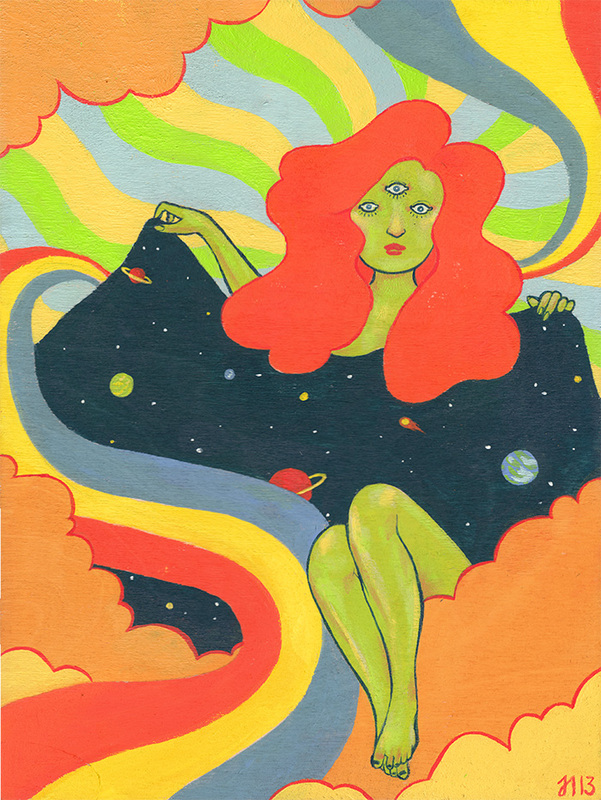 Here, the rainbowy, cloudy Cosmos lady, so named ‘psychedelic space babe’ seems to expose herself to … or perhaps she is covering herself with, or… well, the art speaks for itself. I’d just like to post it all, but that is rude. So go checkout the website, and if it feels good then get your art on, commission some art or something. Before we move on, please, I ask that you meet me at the ice boat below. 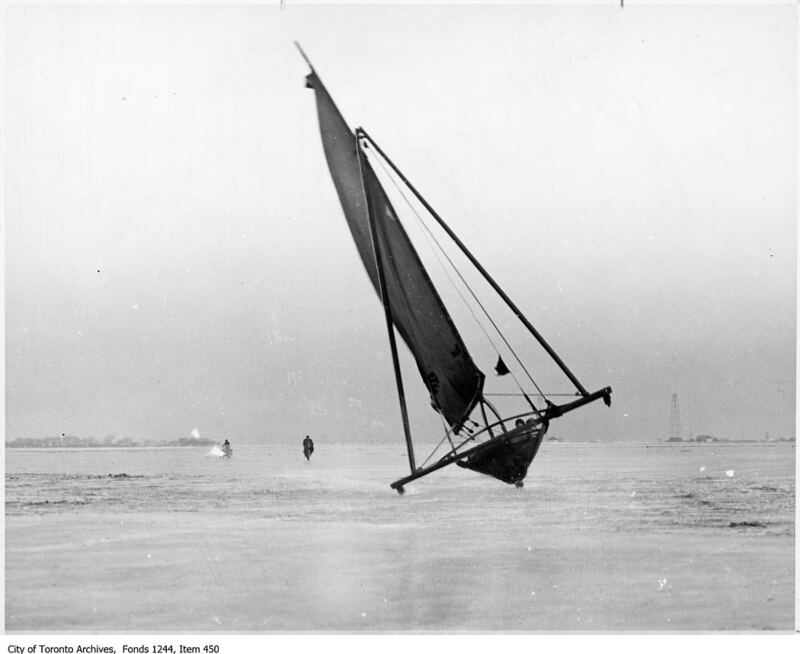 Yes, there are ice boats. This shot is said to be taken in Toronto, Canada, wherever that is. Surely a place with enough ice, and apparently ice-resistant cameras. Instead of bringing our curiosity to a resolution by giving you more background info on said “ice’d boats”, we’re now going to move on to an existentialist video, a short one about the impermanence of the physical world, of the nowness that is both ever present and ever fleeting: two flavours that together define the joy/beauty/thrill of existence. In an easy to digest way, deep fundamental ideas and exaltations of life are introduced. There is some unfounded pessimism, over simplification, etc., but it comes around to a positive place at the end. Also, the video ends with a woman in a great physical pleasure, and for once, I’m not sure why. Image look familiar? Can’t you taste it? Liver with some fava beans and a nice chianti. 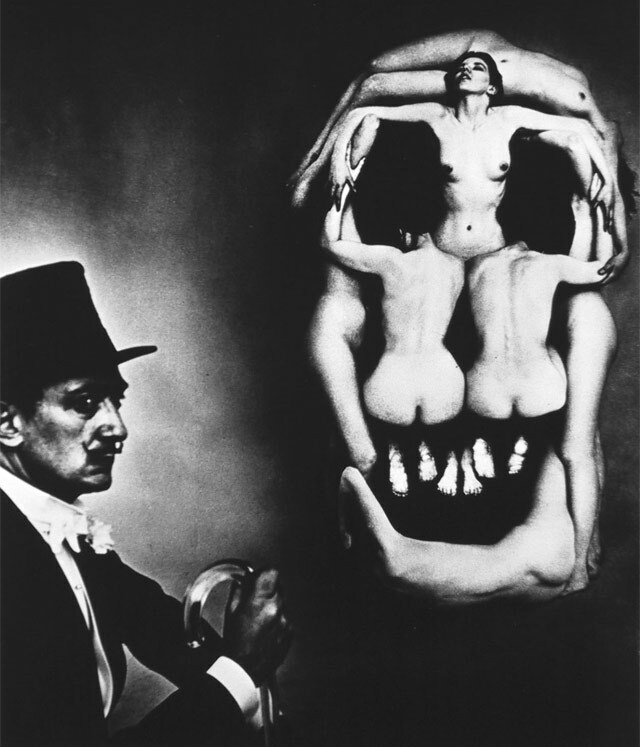 Salvador Dali is featured elsewhere on this blog. You can search him on the home page if you wish. and beneath that there will be a short film that was shot in bits. No one thinks to read the white text… I’m all up in the lava! Existentialist video, dada life november 2013 mix, Flux Pavilion – Gold Love (Feat. Rosie Oddie), bits of life, CHVRCHES – Lies Tourist Remix. So yeah, I said the carpet was lava, and now my toes are in it, wigglin‘ and whatnot. Have a good week, ez. 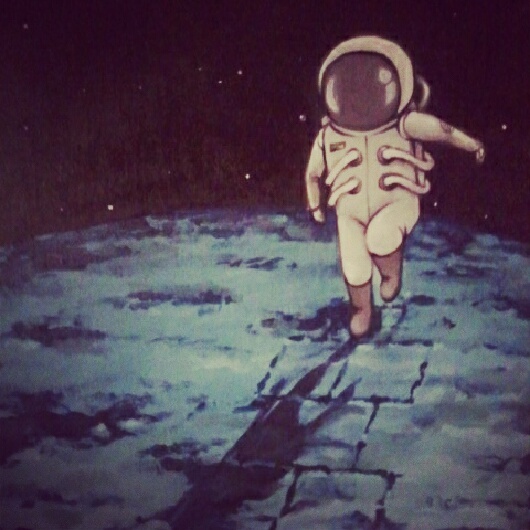 This entry was posted in 2013, art, Music, short film, Space, Uncategorized. Bookmark the permalink.